We all know that cooking healthy food can help us live a long and healthy life, but a recent study has shown that people tend to feel stressed while cooking. 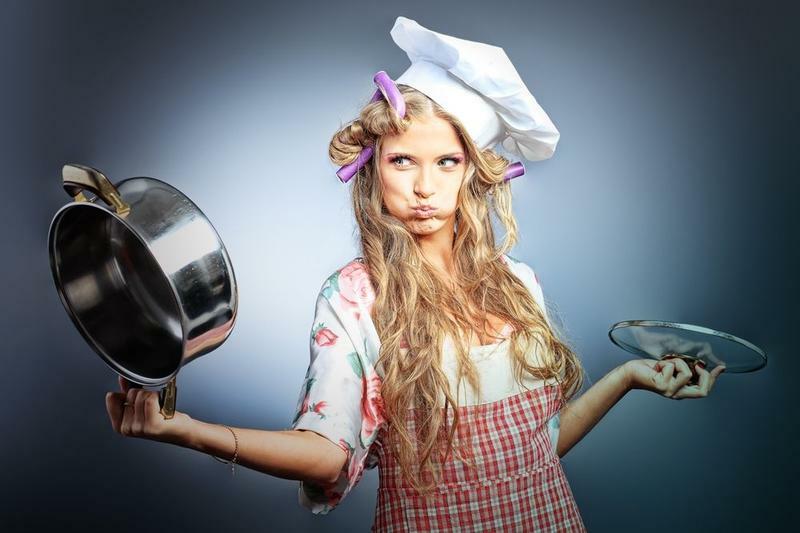 It seems that cooking is perceived as another tedious chore, while all we want to do is relax. The benefits of cooking are countless! For starters, you know exactly what’s in your food, and you are eating healthier without even trying too hard. Plus, cooking at home is cheaper than eating out. But, how to fall in love with cooking? Here are a few basic tips. You might think you hate cooking and you are simply the worst cook ever. Fixed opinions can be changed, and there’s nothing in this world that can’t be learned, including cooking. People have been cooking for so many years and only in the past fifty years we started to cook less while eating out more. At the same time heart disease, diabetes, and cancer have reached the ultimate high, not to mention the number of people struggling with obesity. Studies have proved that music makes us feel relaxed. Playing music can be helpful when you’re doing something that you usually don’t enjoy, whether it’s cleaning your house, finishing a report or cooking. While preparing to cook, create a relaxing environment, play your favorite album, stay mindful and even pour yourself a glass of wine. Have some fun with everything you do! Would you rather watch TV and order a juicy burger, than cook on your own? Sound familiar? Well, you can watch your favorite TV show and cook at the same time. It is a perfect way to pass the time. Moreover, at the end of the day, you will feel less lazy and more productive. Hey, you’re multitasking – cook and watch Netflix by yourself or invite your friends and have some fun together. Cooking at home is worth your time, and it’s a great way to connect with your friends and family members. Invite friends and cook together or bring home-made chocolate-chip cookies to work. When we talk about cooking, there is something more to it than just feeding yourself and others, it’s a sign of love, appreciation and taking care of each other as well.